Google Play Store is one of the largest platforms for publishing, distributing, promoting, and selling Android apps. For beginners, publishing an app to the Play Store can be a confusing and daunting task. At Instamobile, we are publishing a ton of apps to Play Store and App Store, including the demos of our fully functional React Native templates. 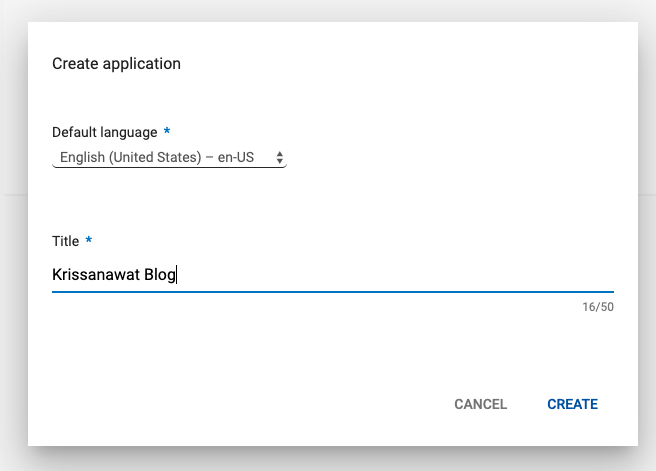 In this tutorial, we are describing a checklist of how to publish an Android app to the Google Play Store. 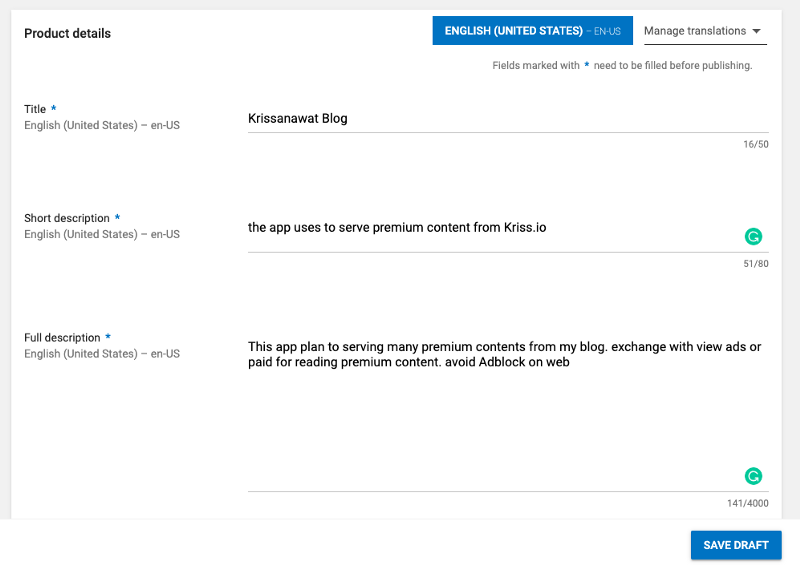 Note: If you downloaded one of our mobile templates, once you integrated your own Firebase account, you can simply just follow this step by step complete Google Play Store Submission Checklist to get your app published on the Play Store. Google Play Console Platform has its own set of rules, regulations, and procedures which you need to comprehend in order to avoid any future issues and confusions with your Android apps. 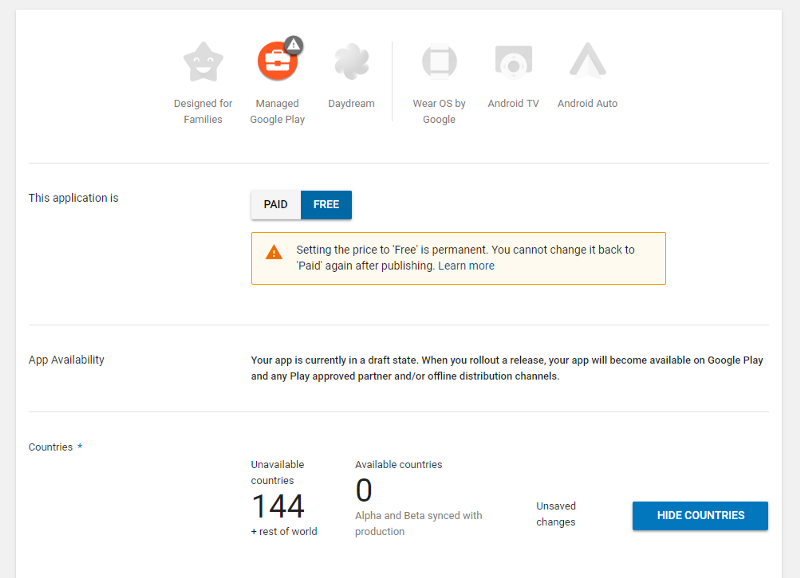 In this article, we have written down a step by step process of publishing your application into the Google Play Store with complete descriptions and notes, along with some important points to remember, for distributing, promoting, and selling Android apps. 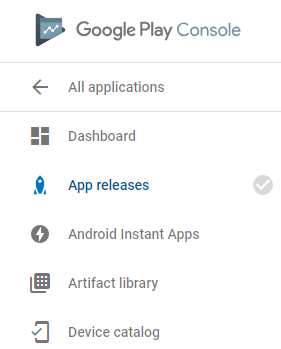 Developer Account: A developer account is an account that you need to create to publish and release your application into the Google Play Console. 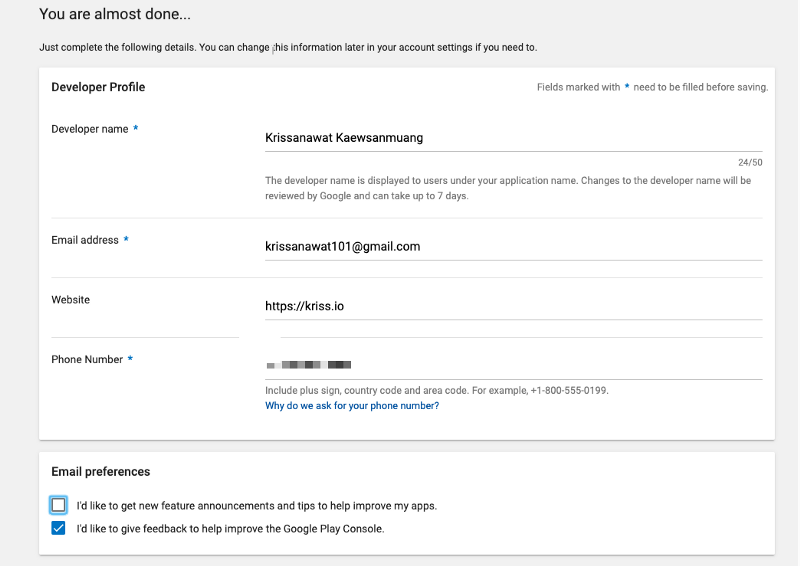 You can simply log into your existing Google account to create a new Developer account. Merchant Account: A merchant account is an account that allows you to publish a paid Android mobile application as well as to sell in-app purchases. Store Listing: Store Listing refers to all the necessary information and details that need to be filled in before publishing your app. It includes Title and Description of application that is shown to customers and other configurations like language, translation, pricing, etc. Signed APK: APK refers to Android Package Kit which is a build file of Android app that contains all the necessary files and configurations required to run on any Android device. A Signed APK is the version of APK that is signed using a specially generated key to convert unsigned APK into the signed release version. 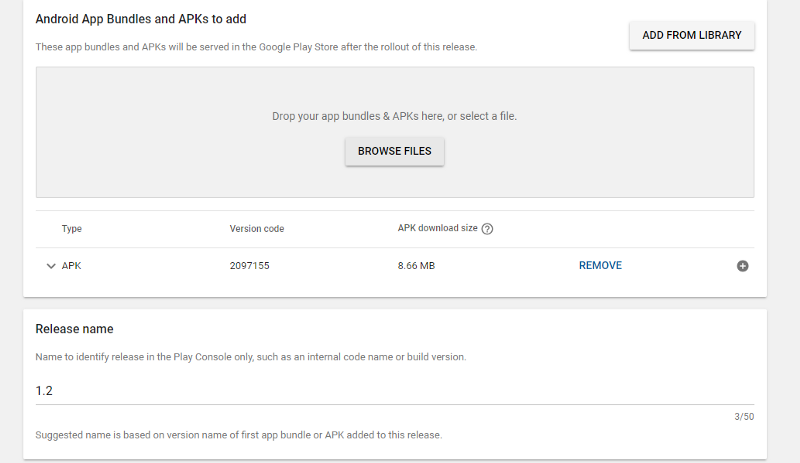 Signed APK can be thus uploaded to the Google Play Console and cannot be debugged or interfered with. You can easily create a brand new developer account by logging in to your existing Google account. You will need to pay a one-time registration fee of $25. This can be done only after you have reviewed and accepted the Developer Distribution Agreement. You need to fill out all necessary account details, including Developer Name (visible to your customers on Google Play) which completes the sign-up process. It may take up to 48 hours for the registration process to be fully processed or complete. 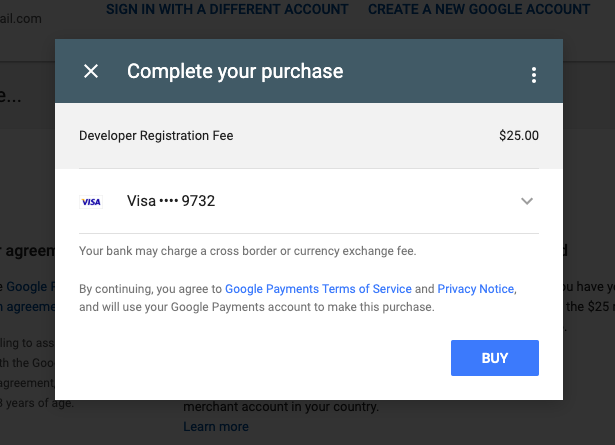 The payment profile will be automatically linked to your Google developer account. A merchant account enables you to organize your application sales and monthly expenditures. 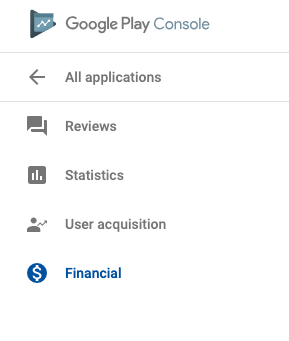 It will also help you analyze your sales reports right in your Google Play Console. After you click on “Create” you will be navigated to the Store entry page where you need to input all the details of your app’s store listing. 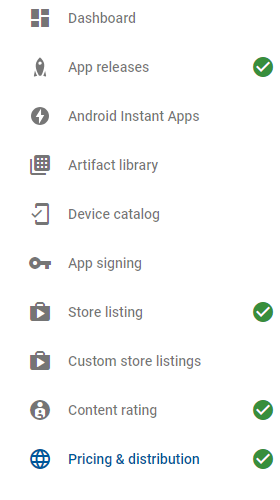 Before publishing your Android application to the Play Console, you will need to create its store listing first. Store Listings are all the information that will be visible to customers on your app’s page on Google Play. The information that you need to fill up are not all compulsory. You can easily move on to the next step and fill the info after the application has been published. Title: The name of your application in the Google Play Console. It has a limit of 50 characters. Short Description: The short description users come across while browsing through your applications detail page on the Play Store app. It has a limit of 80 characters. Full Description: This is a full description of your app in the Play Store. It has a limit of 4000 characters. You must keep in mind that these are very important fields and will affect your downloads in the Play Store market. So, you need to fill in these fields with great care, by being concise and persuasive, so that users are incentivized to install your app on their Android devices. 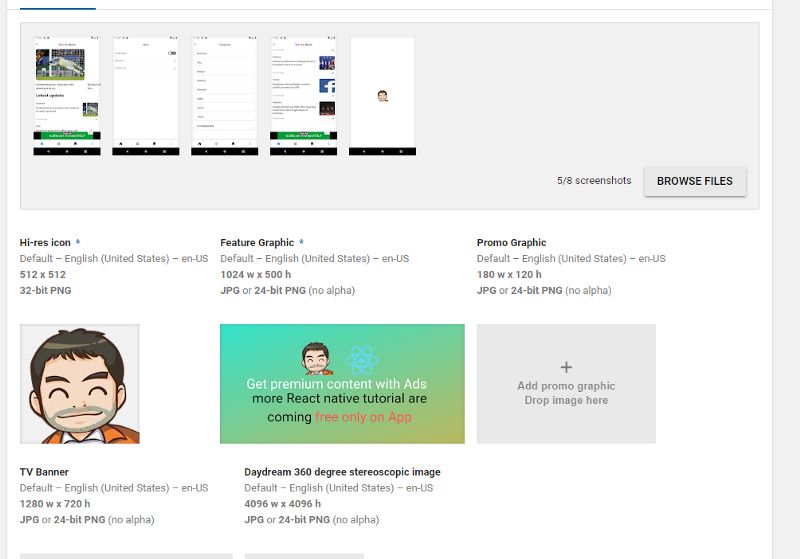 The graphical assets include images, screenshots, video clips, promotional graphics, and icons which will be shown to users when they visit your app in the Play Store. There are some assets which are mandatory for you to include like screenshots of several pages of your application and high-quality icon. There are other requirements that you need to follow as well, while uploading your assets, such as file format and dimensions. 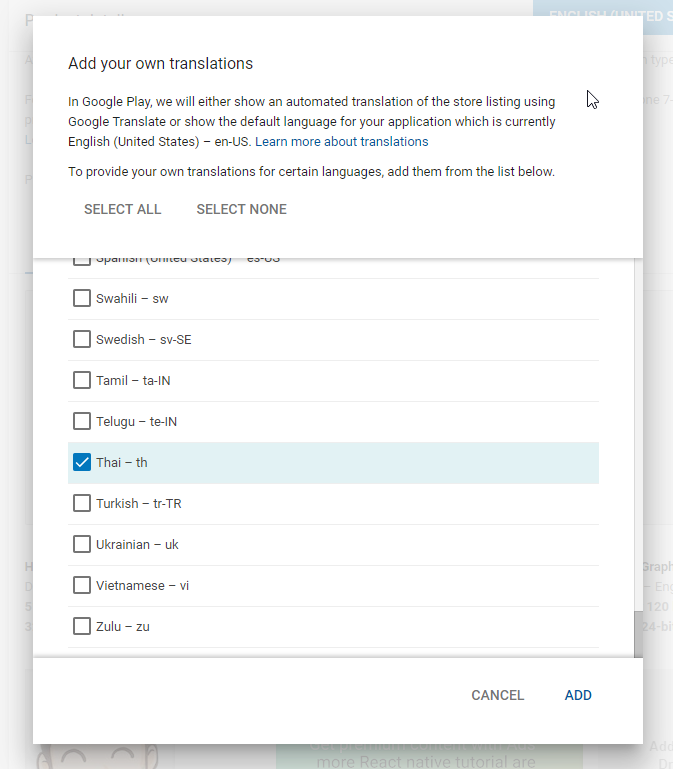 Translations of your app’s information are required in the store listing details, including in-language screenshots and other localized images. You are provided with options to view automated translations of your app’s information using Google. 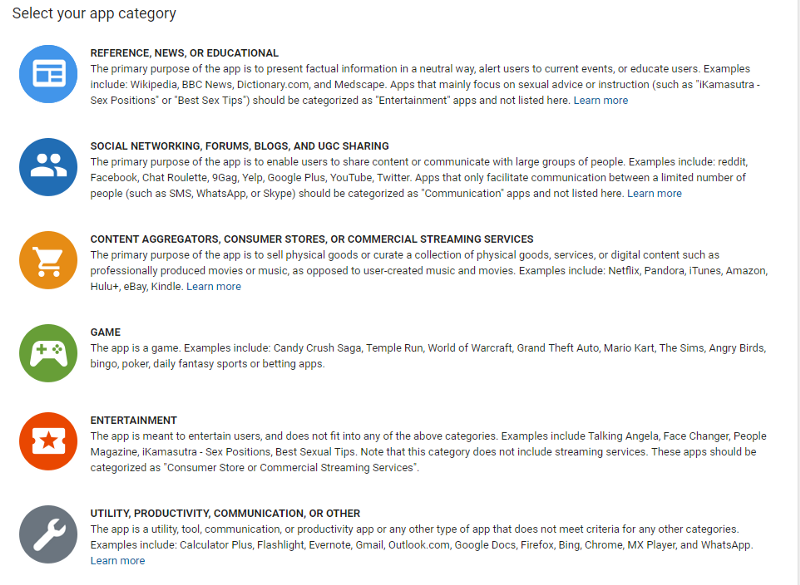 In the categorization step, you need to select the suitable types and category to which your app belongs to. You are provided a drop-down menu from which you can select either app or game for the application type. From various categories, you need to select the most suitable which will reflect on searches and indexing by users. In the Contact details, you need to enter your contact information like email, website, phone number to offer your customer’s access to support about your app. Including your email is mandatory in this step. If the app belongs to a company, this is the place where you must make that public. Now that you have completed creating your store listing, you can go ahead and click on “Save Draft” to save your details. You can modify these store listing anytime in the future accessing your store listing. Now that every little detail to showcase your app information and assets is complete, you need to upload your APK file i.e. Android Package Kit (the binary). APK is the file format for Android apps. The Android operating system utilizes the Android Package Kit (APK) to distribute and install apps. The APK file of your Android app includes all the necessary configurations and files required for your application to run on Android devices and tools. 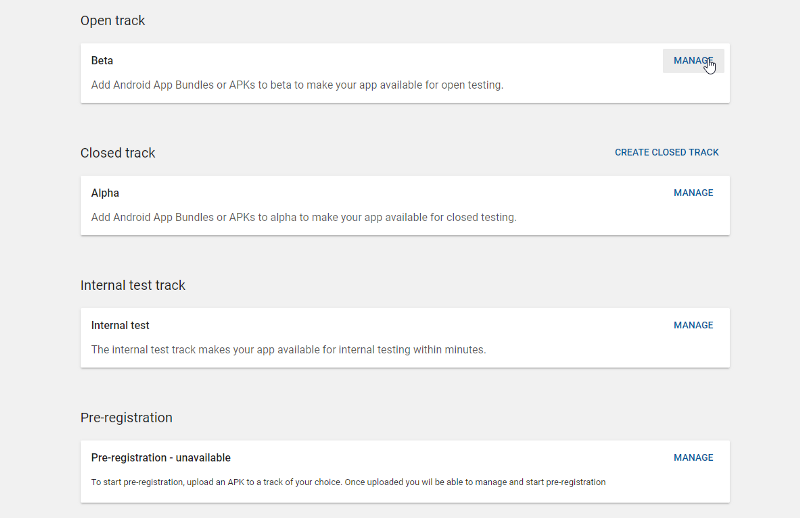 You can upload and release your app in multiple ways offered by Google. You are given options to choose between an internal test, a closed test, an open test, and a production release. The first three options allow users to go into the test run of your app before the app is released to production (all users). This is a safer approach as you can optimize your app according to user feedback, or you can just distribute the app to your friends for some initial testing and validation. The production release makes your app available to global users right away. You need to provide a suitable content rating to your app, otherwise, it will be deemed as UNRATED. The unrated app can be removed for the Google Play Store. For rating your app, fill out a content rating questionnaire. You need to ensure that the information is accurate. 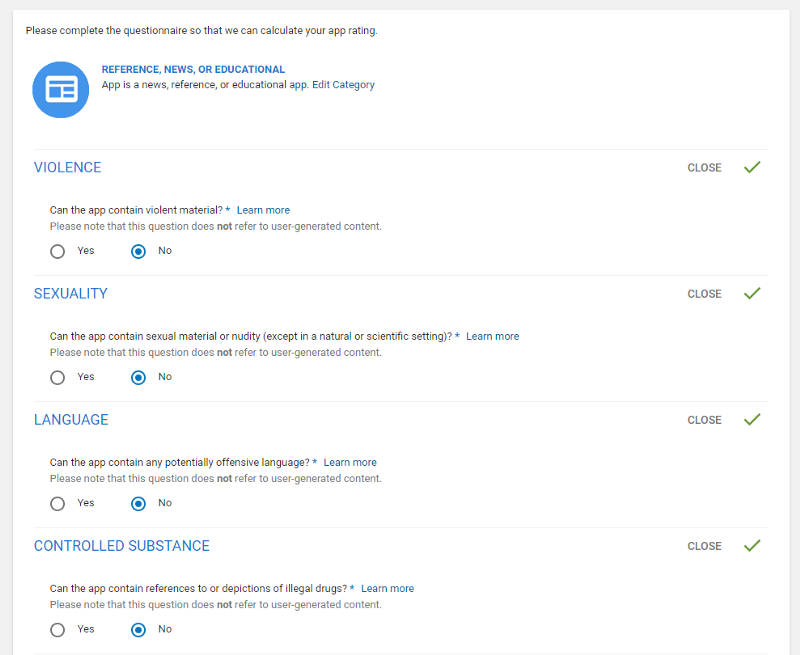 Inappropriate interpretation of your app’s content can lead to suspension or removal from the Play Store. An appropriate content rating will help gain for downloaders and improve your engagement rates. Decide on monetization strategy of your app and then select whether your app will be paid or free. Note that you can always change your app from paid to free but cannot change a free app to paid. After that, you can also decide on the countries you want your app to distribute, and opt-in to distribute to specific Android devices and programs too. Select your app and navigate from ‘Release management’ to ‘App releases.’ Click on ‘Edit release’ and review it. Select ‘Review’ to navigate to the ‘Review and rollout release’ page. Check if there are any issues or warnings you might have missed out on. Finally, Select ‘Confirm rollout’ to publish your app. Finally, your Android app has been published to the Google Play Store. Note that it might take up to a few hours until your app is available worldwide, but it usually takes about 30 minutes. Now, you will need to promote and maintain your app to gain more users. You will need to tune up and optimize the performance of your app according to the user reviews. This is one of the most important parts after the release of your app. That’s it. These are all the steps you need to take in order to publish an Android App to the Google Play Store. Let us know in the comments if we missed anything. And please remember to focus a lot on your Google Play Store Listing Optimization, since it is a crucial surface for your business long-term success: the higher the conversion rate on this page, the more likely is your app going to succeed.